Creative, colourful, and fluid with excellent dialogue and dialects. The script is witty and lighthearted, and the puzzles challenging. Highly enjoyable. Simple, clean interface, sophisticated voice acting, graphics and sound. For those that like hidden object games, this one is not to be missed. Just a thoroughly enjoyable play. 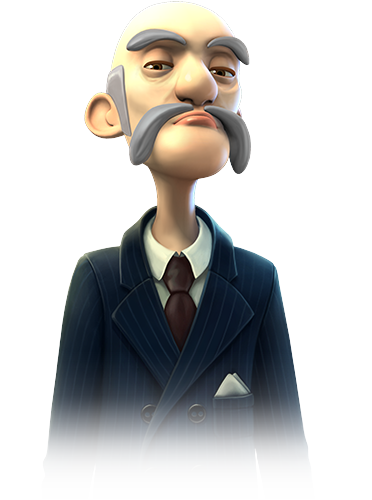 Its great to have an interesting story around a hidden object game! This game has it. And with the 3D objects and beautiful locations its different to other games in this genre. Thumbs up! Investigating a suspicious bank robbery has landed you front and centre of an international crime spree. 8 mysterious objects have been stolen from a safe deposit box while all the money remains intact, and you’re hot on the trail of the culprits. 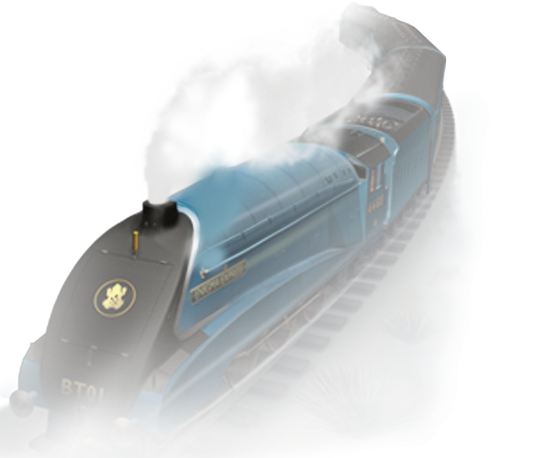 Join 4.5 million players on the Enigma Express! Dakota’s sleuthing began at age three, when she successfully exposed the Great Fraud of Santa Claus, following a covert living room surveillance operation. After traumatizing her classmates with the findings, the case was brought to the attention of Mother. Dakota was then fast tracked onto the Young Blue Toad Academy where she graduated as Head Toad. 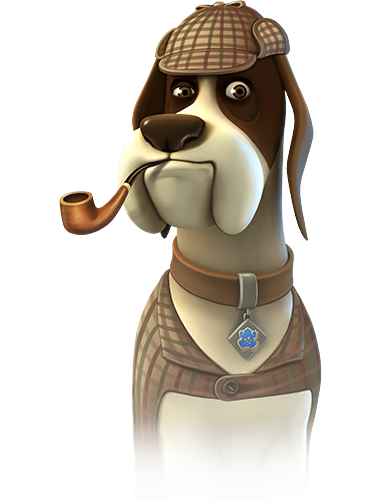 Loyal, dedicated, with an incredible nose for clues, Watson was brought on board at the Blue Toad Detectives agency. After apprehending the infamous Handkerchief Hustler as a mere pup. After years of sniffing out suspects alongside his partner Dakota, he’s trained to retrieve the clues no other man – or dog – can! An entertainer first and a criminal second, Five Fingers is itching to get out of the slammer. His unique brand of tomfoolery has been absent from the headlines for years, and now his plans for a farewell heist have been hijacked by a C-list criminal. But is he desperate enough to partner up with the police in order to stop them? Investigate crime scenes to discover the truth that links 8 strange stolen objects to a series of mysterious heists and murders. 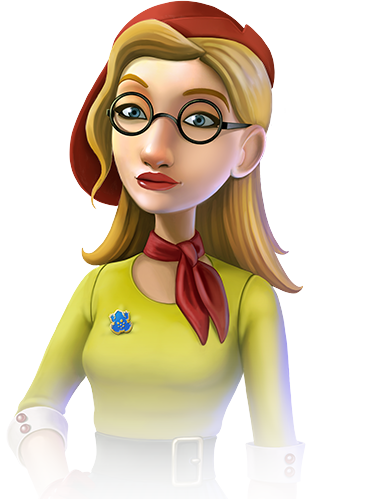 Learn from the best as you pair up with super heroine detective Hannah Dakota to spot the hidden objects, find all the clues and catch the culprit before it’s too late! Solve crimes in stunning locations all around the world from the vibrant vineyards of France, to the picturesque pavilions of Italy, the sun drenched desert oasis of exotic Morocco and more. 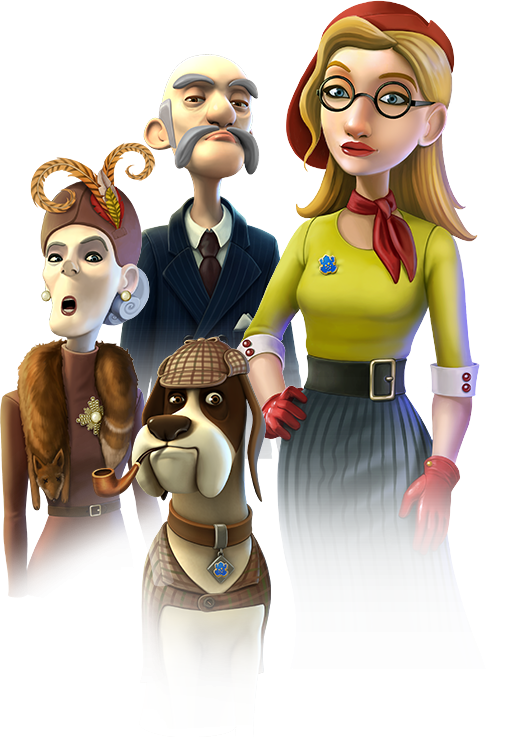 From faithful companion, Watson the dog, to crooked crime boss, Five Fingers, play along with dozens of colourful characters brought to life with thrilling dialogue and voice acting. Boost – find 3 objects at a time and increase your multiplier to boost points. Chain Reaction – find 1 object at a time against the clock, your time limit reduces with every multiplier increase. Variety – colour coded objects give you different bonuses such as extra time and boosted points. Cascade mode – no multiplier, but massive points and coins bonuses. 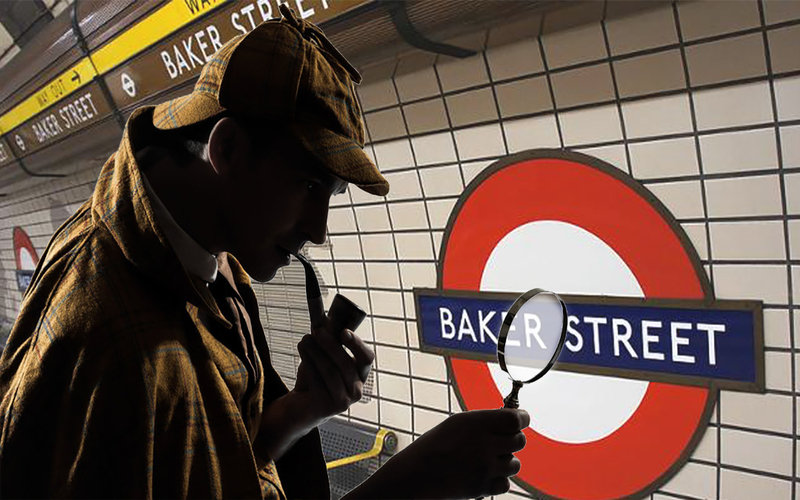 Become the very best detective on the leaderboard! Share your scores with friends and invite them to play along by connecting your game to Facebook or Twitter. Intriguing and funny storyline written by International Emmy® Award winner Felicity Carpenter, and original soundtrack composed and recorded by BAFTA nominee Dom Beken specifically for Enigma Express. Another heist?! Detectives, we need you! 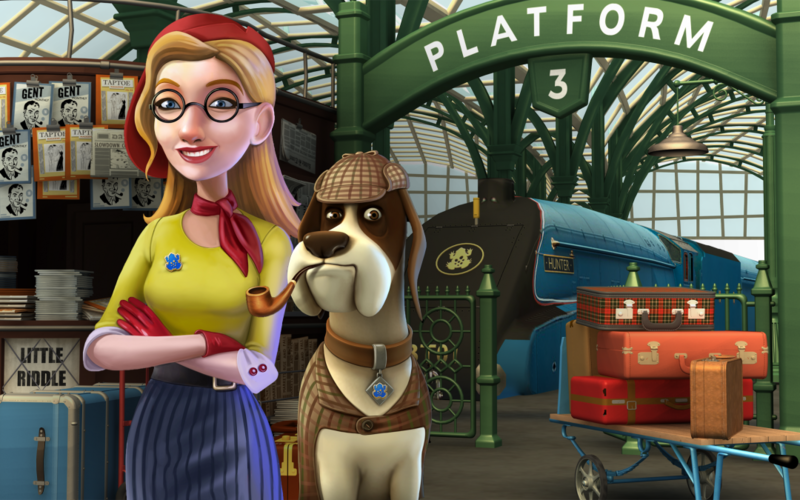 The mystery on board the Enigma Express is about to take on new twists and turns with a brand new adventure on the way! 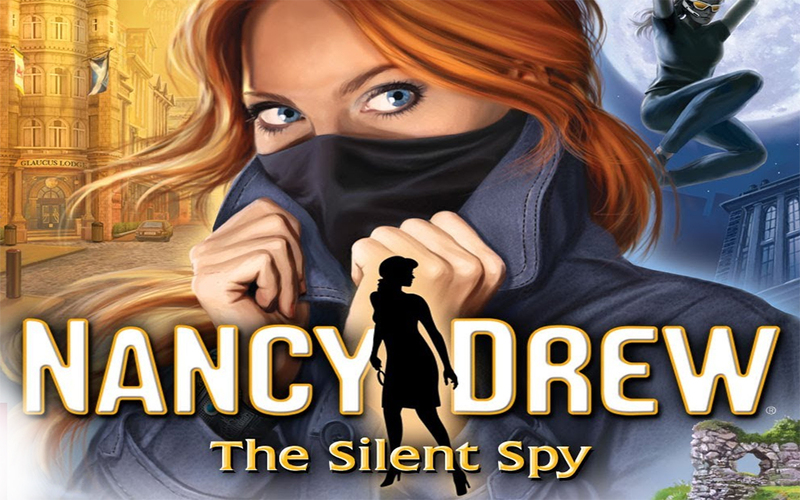 Ingenious super sleuth and heroine extraordinaire, Nancy Drew is nothing short of an A-list super star in the detective world. What updates will you find?